Whole Dude – Whole Declaration: Thomas Jefferson(b. April 13, 1743 – d. July 04, 1826), 3rd President of the United States(1801-1809), the principal author of The Declaration of Independence adopted July 04, 1776. It was a declaration of the principles to support the demand for Independence. His personal commitment to its principles was profound and intense. He became a symbol of the ideals expressed in the Declaration. The Declaration of Independence is the most important of all American historical documents. It is one of the great political documents of the West. The Declaration was drafted at the Second Continental Congress while the delegates of the thirteen colonies convened in Philadelphia had decided to proclaim freedom from British rule and wanted to make a formal pronouncement of their rights as people to form a government by choice. The Declaration affirmed the natural rights of man and the doctrine of government by contract. The Declaration gives a detailed enumeration of specific grievances and injustices and contended that the colonies had the right and duty to revolt. 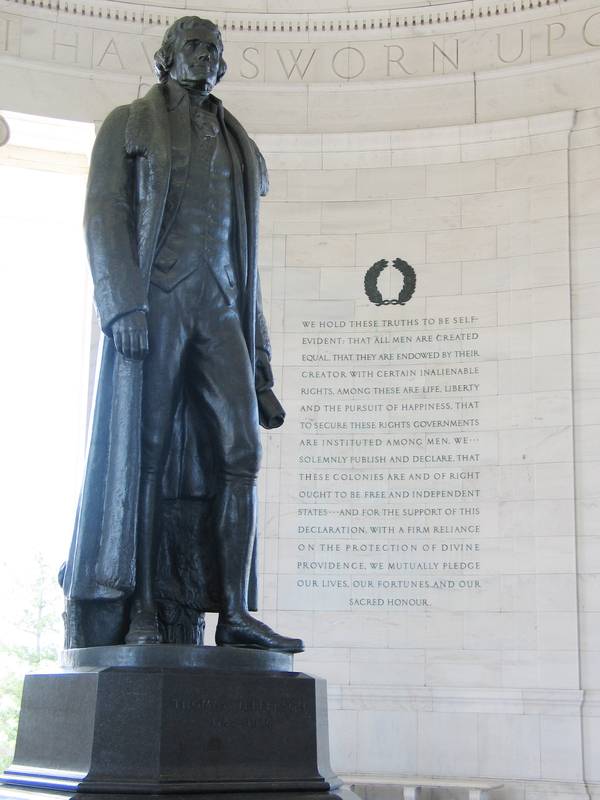 Whole Dude – Whole Declaration: Jefferson Memorial in Washington, DC. Jefferson stated that the Declaration was intended to be an expression of the American mind. He intended to translate its principles into practice and to create in America a society in which the gap between aspiration and achievement would be narrowed. 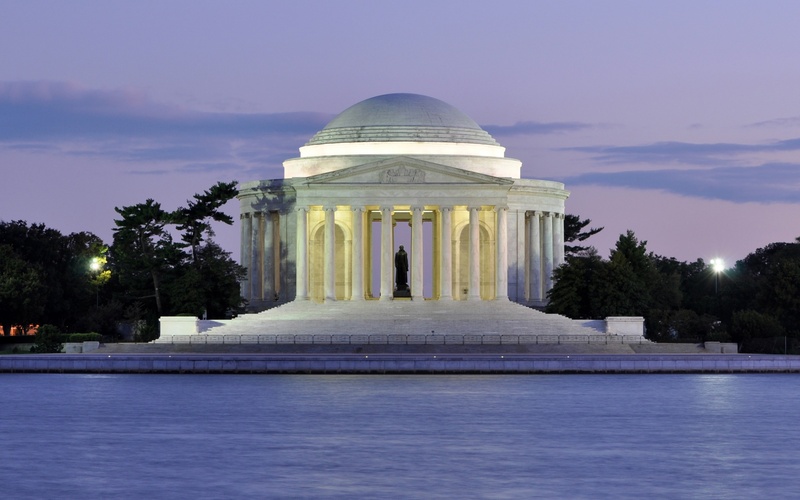 The US had erected the Memorial and has yet to reduce the gap between ideals and the reality of Independence where man’s natural rights are defended by a representative government. Jefferson rarely made speeches, disliked oral disputes, and he preferred pen as the natural means of his expression. He wrote a political pamphlet, “A Summary View of the Rights of British America” (1774), arguing on the basis of natural-rights theory, he claimed: “The God who gave us life gave us liberty at the same time: The hand of force may destroy, but cannot disjoin them.” It was the fact of his commitment to the principles of the Declaration and not the mere fact of literary authorship that makes Jefferson a unique symbol of Independence. Jefferson was clearly inspired by John Locke(1632 – 1704), English philosopher and founder of British School of thought known as ‘Empiricism’. Locke was a leading philosopher of freedom and in his political theory , he maintained that the original state of nature is happy and is characterized by reason and tolerance; all human beings are equal, and free to pursue “life, health, liberty, and possessions.” The state formed by the Social Contract is guided by the natural law which guarantees those natural inalienable rights. 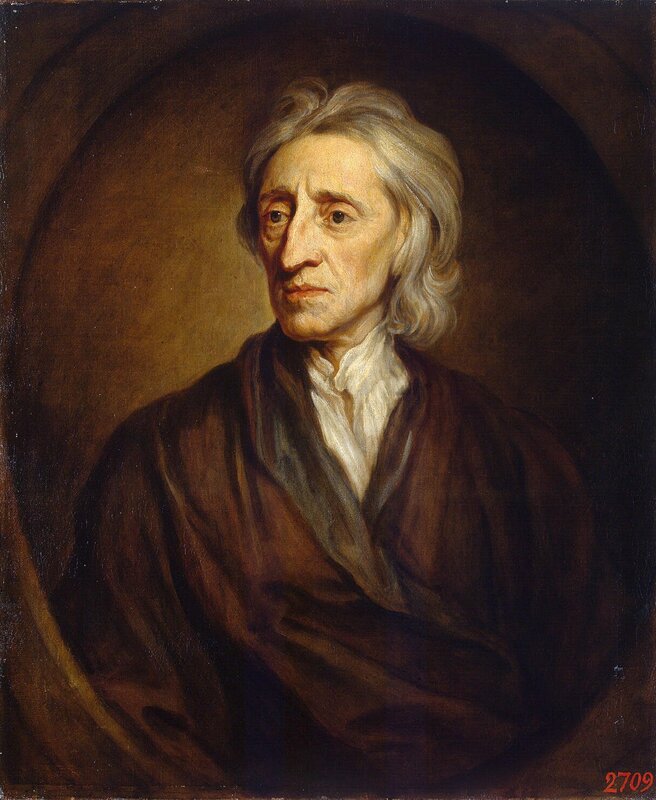 Whole Dude – Whole Declaration: John Locke developed a ‘Social Contract’ theory which helped to formulate the liberal, social, economic, and ethical theory of the 18th century. Locke epitomized the Enlightenment’s faith in the middle class, in the new science and in human goodness. While Jefferson drew upon the English and French Enlightenment as sources for his ideas, and used language to structure his argument to closely parallel the natural rights theories of Locke, he made a great exception. Jefferson substituted the “pursuit of happiness” for “possessions” in the trinity of inalienable natural rights. In this one key aspect, Jefferson used ‘Natural Law’ instead of natural rights theory. Jefferson showed acute awareness of the problem of corruption caused by concentration of wealth, and property in the hands of a few individuals. He emphasized public duty rather than personal choice. He thought that happiness is attainable only by diligent cultivation of civic virtue. 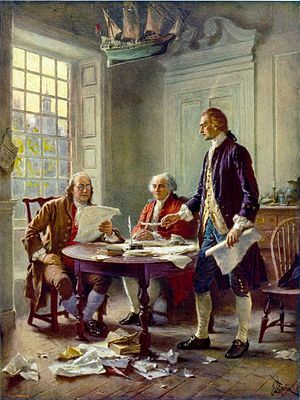 The Declaration reads: “We hold these truths to be self-evident, that all men are created equal, that they are endowed by their Creator with certain unalienable Rights, that among these are Life, Liberty, and the pursuit of Happiness.— That to secure these rights, Governments are instituted among men, deriving their just powers from the consent of the governed…… And for the support of this Declaration, with a firm reliance on the protection of Divine Providence, we mutually pledge to each other our Lives, our Fortunes and our sacred Honour.” Jefferson suggested that man’s pursuit of Happiness and other rights demands a firm reliance on the protection of Divine Providence. If man finds satisfaction under the protection of Divine Providence, he would not claim the right to disproportionate wealth, income, possessions, and property. Whole Dude – Whole Declaration: Thomas Jefferson’s Declaration of Independence seeking natural inalienable rights was made seeking support with a firm reliance on the protection of Divine Providence. The operation of Divine Providence is the central requirement if man has the natural, inalienable rights to Life, Liberty, and the pursuit of Happiness. 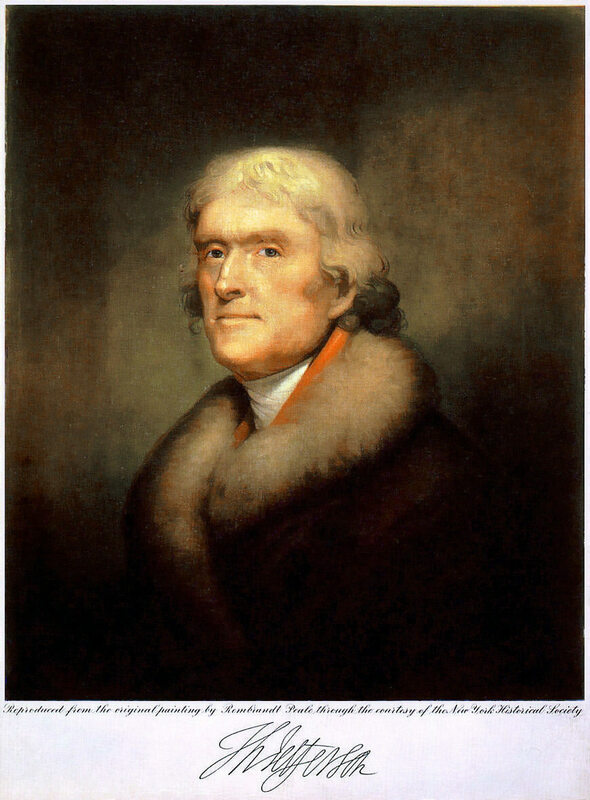 Jefferson had correctly predicted that the Rulers would become corrupt and abuse their power, and the people “will forget themselves, but in the sole faculty of making money, and will never think of uniting to effect a due respect for their rights.” Jefferson stated that a representative government would operate successfully only under certain conditions: 1. a wide distribution of property or the availability of a substitute that provided men with decent subsistence honestly earned, 2. an educated and informed population, and 3. laws and institutions designed to compensate for the diminution of public virtue that was sure to come when the crises of the revolution were over. While he was the Secretary of State( from September 1789), Jefferson came to distrust the proposals and the motives of the Secretary of Treasury Alexander Hamilton. Jefferson thought Hamilton’s financial programs were both unwise and unconstitutional and felt that the financial policy was flowing “from principles adverse to liberty.” He had openly expressed his disagreement in opposing Hamilton’s policies for they exceeded the powers delegated to the Federal Government by the Constitution, they were contrary to the interests of the majority of the people, and that they represent a threat to public institutions. Eventually, Jefferson resigned on December 31, 1793 for he was dissatisfied with issues like the bill incorporating a “Bank of the United States.” Jefferson’s plan for comprehensive reform of the laws and institutions of Virginia included an effort to secure abolition of the laws in order to discourage concentration of property in the hands of a few great landowners. He believed that property was among the natural rights to which man was born and that it meant the right to a decent means of subsistence. “Whenever there is in any country, uncultivated lands and unemployed poor, it is clear that the laws of property have been so far extended as to violate natural right. The earth is given as a common stock for man to labor and live on.” Jefferson held that a representative government cannot flourish in conditions of extreme poverty or complete economic dependence. Jefferson as the US President reduced internal taxes, the military budget was cut, and made plans to extinguish the public debt. 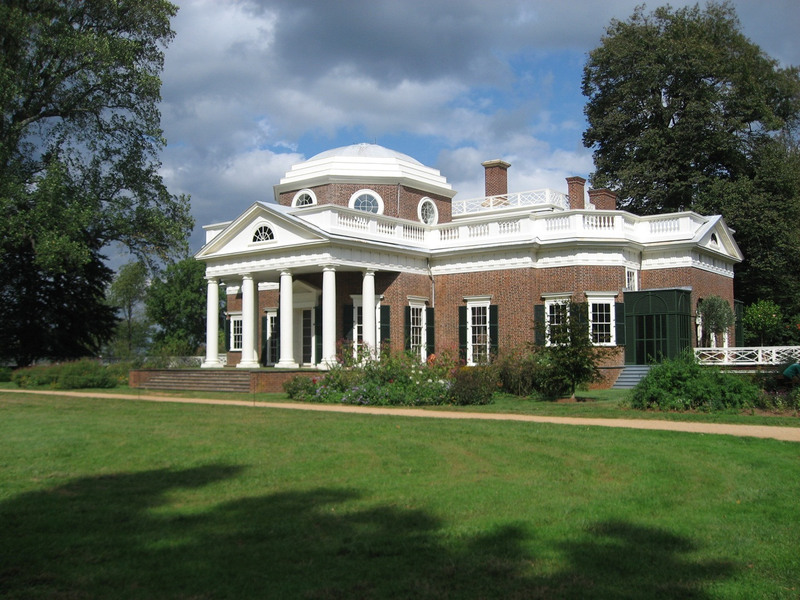 Simplicity, and frugality became the hallmarks of Jefferson’s administration. Whole Dude – Whole Declaration: Jefferson recognized the importance of Education for an informed public opinion. 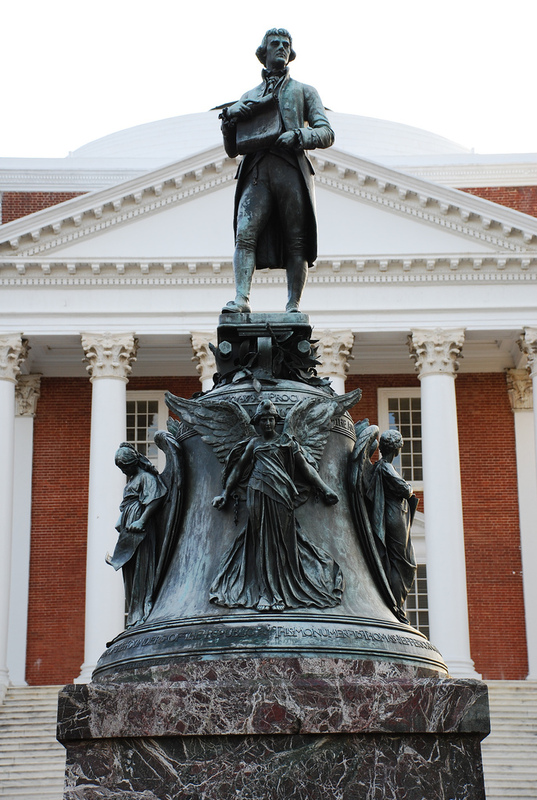 His major accomplishment was the founding(1819) of The University of Virginia at Charlottesville. Whole Dude – Whole Declaration: Jefferson believed in Freedom maintained through Education. Educators at this University of Virginia and other places of higher education must continue to investigate the reasons for inequalities among men. Men are born equal, but live their entire lives coping with unjust inequalities. Jefferson’s comprehensive plan for a representative government had included a plan for the educational system. Ignorant people could not make rational, and responsible decisions about public affairs. Education provides an opportunity to the development of talents and capabilities suited for public office. However, he had cautioned that educational opportunity must not be identified with economic privileges. I want to know as to what our students and educators think about the extreme concentration of wealth in the hands of a few people in this country. 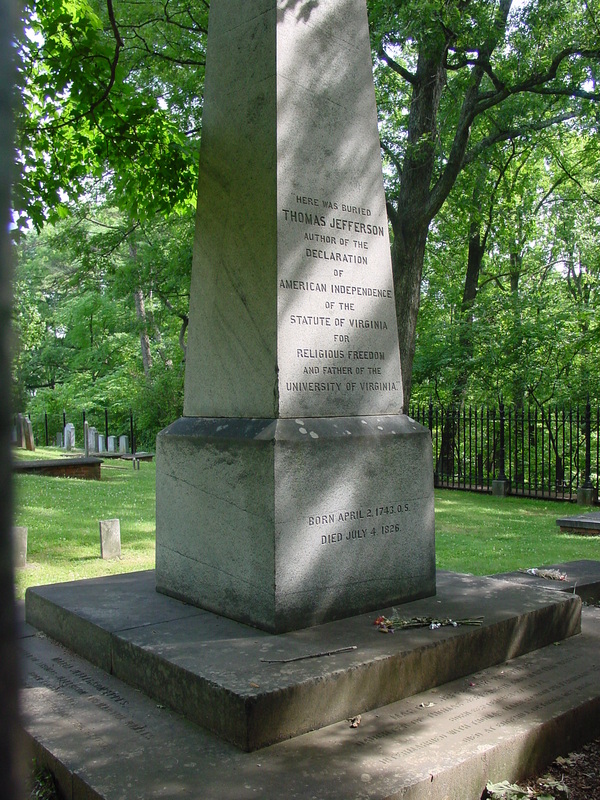 Whole Dude – Whole Declaration: Jefferson authored the epitaph that was inscribed on his tombstone. 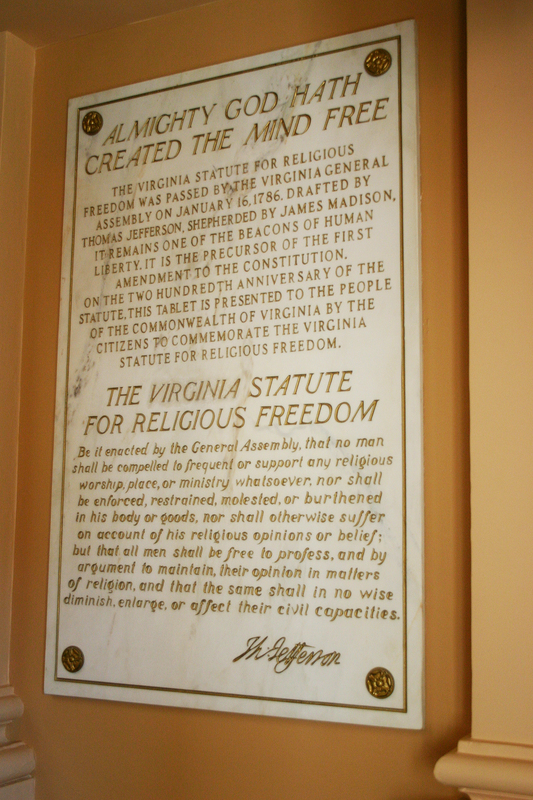 “Here was buried Thomas Jefferson, author of the Declaration of American Independence, of the Statute of Virginia for Religious freedom, and father of the University of Virginia.” He was a great author who declared his Freedom from Vanity. Jefferson died on July 04, 1826, the 50th anniversary of the proclamation of the Declaration of Independence. He had directed us to remember only three achievements in his public life that symbolize his quest for true human freedom. Unfortunately his predictions about people who govern and people who get governed have come true. Whole Dude – Whole Declaration: Thomas Jefferson’s Declaration of Independence could not bring the Freedom from Inequality in personal income and wealth. Whole Dude- Whole Declaration: The ideals and principles contained in the historical document known as ‘The Declaration of Independence’ could not be translated into reality. In the United States, rulers have become corrupt, they pursued economic, trade, and commerce policies that caused a huge chasm between aspirations and accomplishments of this independent nation. National, and personal indebtedness has grown to unimaginable levels while very few individuals have amassed immense personal wealth. Employment opportunities are lost as the country depends upon products and services that are entirely imported from foreign countries like People’s Republic of China where people have no representative government. 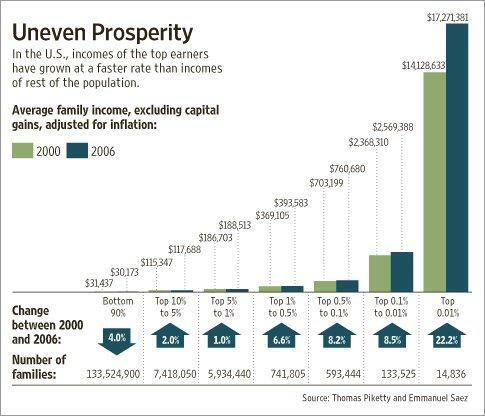 United States lacks an informed population while people use education as a tool for economic privilege. There are no laws and institutions to compensate for the diminution of public virtue. This should not come as a big surprise to read about gross inequalities in the distribution of wealth within the United States. The suspicions of Thomas Jefferson have come true. The rulers have become corrupt, and the people are only concerned about increasing their personal wealth. Education is not a tool for informed public opinion, and it simply serves the greed to satisfy the desire for economic privilege. There are no laws and there are no institutions to compensate for the diminution of public virtue. The government no longer represents an institution created by social contract. The government is following financial policies that eroded the liberty, freedom, and equality of the people. The clearest evidence for the loss of Freedom is the phenomenal increase of national and private indebtedness and the dependence upon foreign capital to run the daily operations of the government. Freedom is at peril in the United States and I am afraid that ‘The Declaration of Independence’ would be a mere historical document worthy of its being exhibited in a museum. Organization: The Spirits of Special Frontier Force.